The XTC 4 easily adjusts to different bike frame sizes with the simple movement of the wheel hoops. Frame grip arms have a soft 'frame friendly' coating to protect your bike's finish. 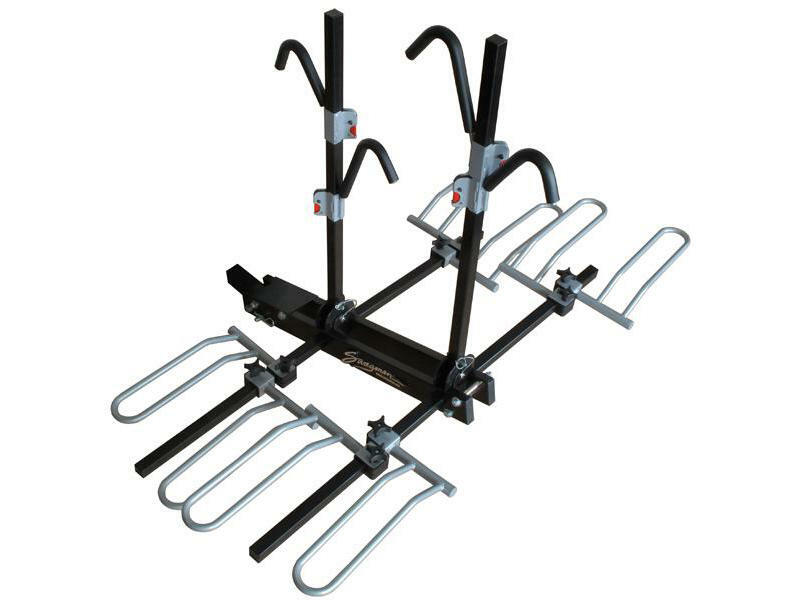 When not in use, the rack folds up for easy storage either on or off the vehicle, shipping, etc. The XTC 4 carries the widest variety of bike frames in its class. Designed with a rise on the base to offer more ground clearance. The Cross Country XC 4 Bike Rail Rack can easily accommodate most any style of bike without the hassle of removing wheels. The XC slides into a 2 inch receiver and fits class 3 or 4 hitches.